When you need a Katy kennel to board your dog, consider leaving your pet with obedience trainers in the dog boarding facility at Shelmar Kennels. We have 20 acres of puppy fun. All dog boarding is done in our house. 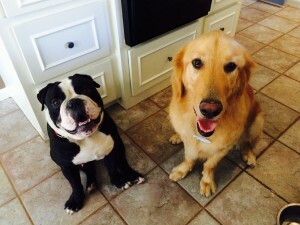 What makes our dog boarding facility so special? Martin and Shelly, who live on the premises, will be taking care of your pet and making sure they will have the best boarding experience in the Katy and Houston area. For the pampered pets of Katy and Houston we offer interior, air conditioned and heated boarding which includes 4 exercise times – 6am, 1.30pm, 6pm and 10pm. This dog boarding is ideal for the family housedog. We exercise the dogs in exterior pens, which are 500 sq ft, and we have plenty of them! This boarding takes place in our home and your pet will be treated like one of our own. Price is $40 per dog per day and $35 per dog per day for each additional dog. 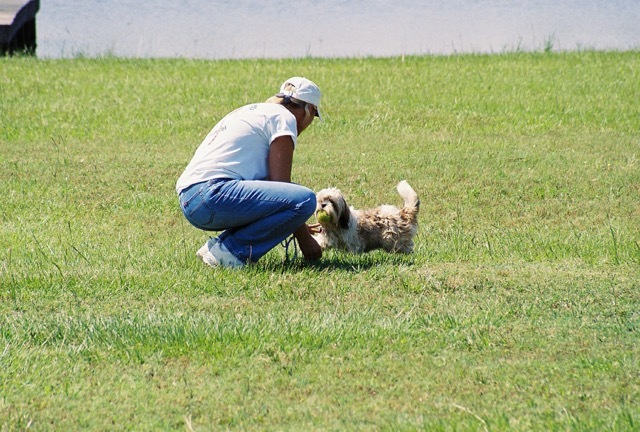 While boarding with us your dog will be temperament evaluated and, if socially accepted by other dogs of the same calm disposition, can join in with the fun of pet playtime on the Katy prairie. We individualize our exercise times according to your dogs needs. Our exercise sessions are generally 20 minutes in length although early morning and late evenings we will leave the younger, more playful pups out for 30-45 minutes so they can have plenty of opportunity to tire themselves out. All of our dog boarding rates include food, although you are welcome to bring your own and we will feed accordingly. We find in particular with short-term boarders a change of diet will cause stomach upset; therefore, it is better for the pup to remain on their own diet. We cater to dogs that are not accustomed to animal boarding facilities. Many times these pups are nervous wrecks and will not eat if they are not given the proper care and attention. We find that free exercise helps calm them down and sets the stage for future boarding encounters. A big key to our success with animals is our strict schedule of exercising, spending time with them and they always get to see our familiar faces each time they board with us. Dogs feel comfortable in our care. Our clients remain our clients for a long time and some travel great distances because they know we take excellent care of their dogs. Because we are professional dog trainers Houston and dog obedience trainers we are accustomed to dealing with dogs of a less friendly, aggressive nature. We do not discriminate and limit our boarding facility because of a dogs breeding. We can certainly help you with any dog boarding concerns: we want you to feel comfortable leaving your pet with us so that you can enjoy your valuable time away with your family with no worries.